Debby Ryan is a lovely fashionista so it’s no surprise that she made a special appearance on last night’s ‘Fashion Police.’ The show, which airs on the E! network, interviews stars about the best and worst current fashions. 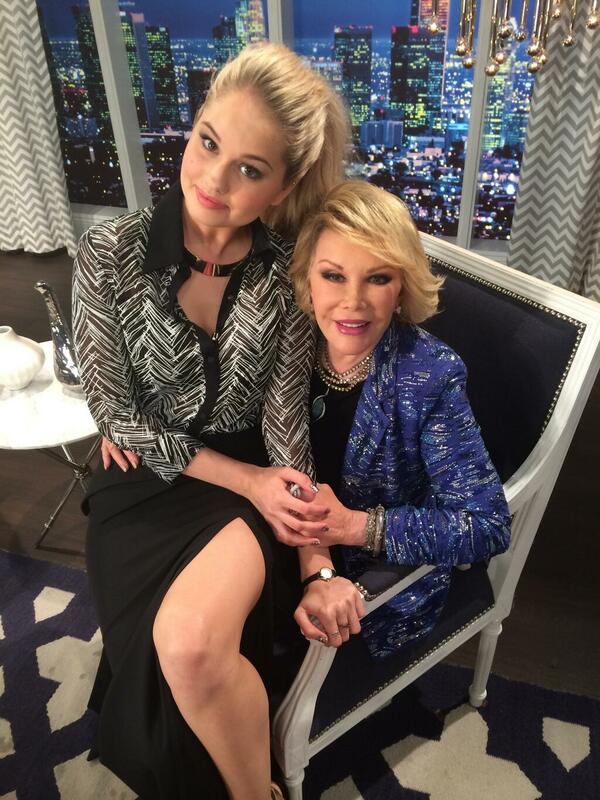 Debby posed with legendary host Joan Rivers on set before the show aired. What do you think of the gals fashions? We think they look fierce!! 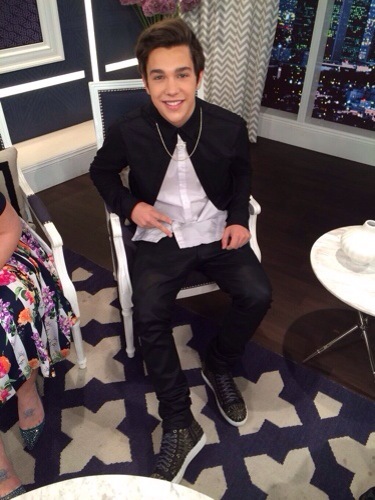 Austin Mahone Will Be On Fashion Police Tonight! Tonight, May 30th, Austin Mahone will be on Fashion Police! Be sure to tune in at 9/8c on E! Who’s excited?! Let us know in a comment down below! More Pics Of Selena Gomez + Celeb Pals At Hollywood SU2C Event + ‘Fashion Police’ Weighs In On Her Look! On January 28th, celebs descended on the Hollywood Stands Up To Cancer event in Culver City, CA, to support a great cause — benefiting Stand Up To Cancer, the party was made possible through a partnership between the American Cancer Society and Bristol Myers Squibb and was hosted by Jim Toth, Reese Witherspoon, and the Entertainment Industry Foundation. Selena Gomez looked radiant in a white BCBG Resort 2014 Runway Krystina Jumpsuit and rubbed elbows with host Reese Witherspoon, Gwyneth Paltrow, Zooey Deschanel, and cuddled up on the couch with good friend Katy Perry, among other distinguished guests. Even though they got together to fight cancer about a week and a half ago, new photos of Sel and her celeb pals have surfaced — and we’re definitely not complaining about getting a better look at her in that jumpsuit! E!’s Fashion Police couldn’t resist weighing in on Sel’s SU2C look on last night’s episode (February 7th) — the reactions were pretty split among the fashionable panel, with George Kotsiopoulos and Kelly Osbourne voicing their disappointment in the look and offering constructive criticism — mainly concerning the tailoring and the length of the leg. Kelly even nominated Sel for “Fashole” — or Worst Dressed — of the week, though she ultimately wasn’t chosen by Joan Rivers at the end of the program — that particular honor went to CeeLo Green! Check out the new pictures in the gallery below and see the Sel-centered segment on Fashion Police on their website HERE now — and let us know what you think of the look! Kylie Jenner just recently cut off her long locks to ring in the New Year. After she decided to go with a short hair look she fell in love and wanted to go even shorter! Just a few days ago Kylie posted a Keek saying she was going to cut her hair shorter than the original short cut and go lighter. Well Kylie did just that! Before her appearance on Fashion Police with sister Kendall Jenner today Kylie decided to cut off some more hair. Her new cut is gorgeous and definitely was the perfect idea for a new change to start off the new year!